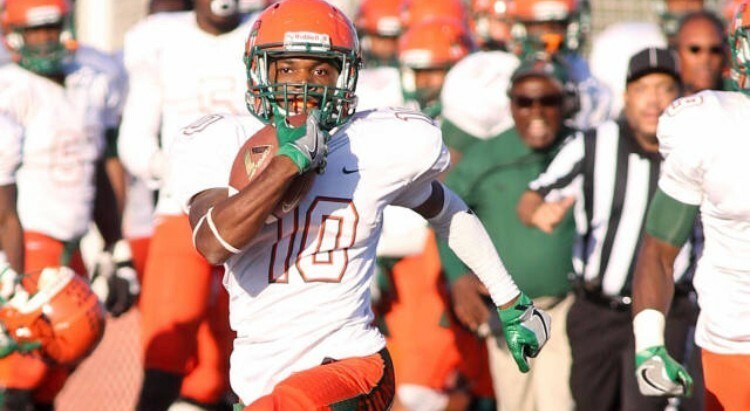 Orlando McKinley the defensive back from Florida A&M University recently sat down with Draft Diamonds writer Jonathan Joyce. I can’t choose a favorite but my top 2 are: Never Scared – Bone Crusher, and Hannah Montana – Migos. A workhorse type of person with a great personality and is dependable. When I watch film I study tendencies and how my opponent runs their route. When it comes to the return game I always see how far and how consistent their kickers are and who gets down the field first. The toughest player(s) I’ve had to compete against are Brandon Norwood, and Chad Hunter. The ability to be 6’1. All of the brothers I’ve made over the past 4 years, definitely men that I’ll always keep in contact with. My father, Orlando McKinley Sr.
Find my weakness and build on it. Barack Obama, he’s broken every barrier brought against him. Definitely superhuman speed, other than for sports I can use my speed if I don’t have gas for my car. Receiving that phone call on Draft Day! Point blank period. It’s a toss up between Prime Time and Reggie Bush. Football IQ, speed, quickness, and the ability to play multiple positions. Playing off-man, getting as many reps with the top receivers that I know. What NFL WR, past or present, would you most want to line-up against? Ocho Cinco! He claims corners were scared of his feet so I want to see who got the best footwork between us. DeAngelo Hall! I always loved his footwork and how fluid he was. What is the best part of your hometown; Atlanta, GA? The best part about Atlanta is the culture, its like Black Hollywood and you never know who you will see. I’m small but I’m a DOG! You can’t teach speed nor heart.